Let Us Help Your Video Content Go VIRAL! 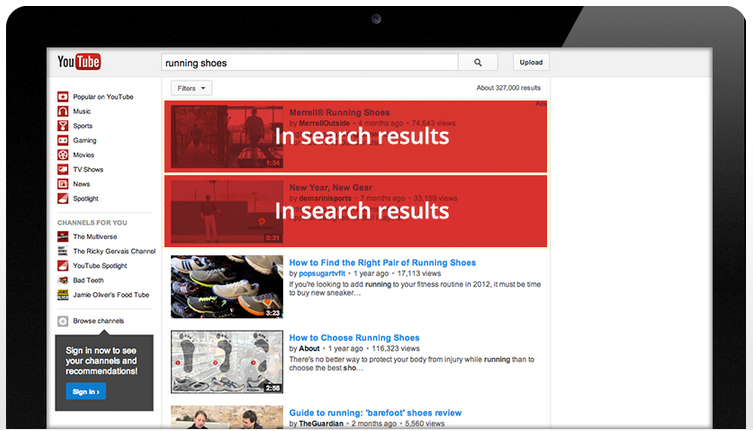 TrueView® video ads on YouTube and in the Google Display Network provide natural targeting. This eliminates viewers who have already seen your ad or who are not in the market for what you have to offer. 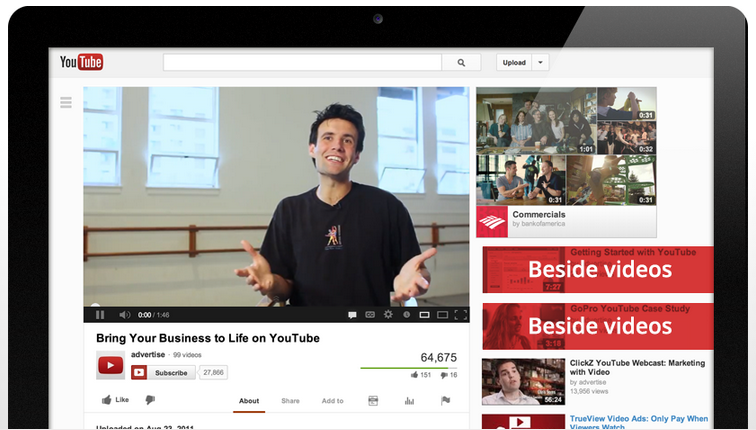 We provide YouTube Advertising Campaign Management services to our clients. Managing these campaigns properly requires experience. The same experience that the Quick Reach Media Agency has achieved over the past 10 years, ever since the channel was created! We were there at the beginning and have honed our skills over many campaigns to offer this service with the utmost confidence. It is usually much more affordable than Pay-Per-Click (Google Adwords) and many other digital advertising products. Why not find out how this can benefit your business and really get you out there. Your Video Ad will be displayed at or near the TOP of the search results for the related key words and search phrases that are relevant to your content, topic or area of interest for potential viewers. This is the most desirous of display results since they represent an organic, relative choice for a potential viewer. These results COST YOU NOTHING provided your TrueView® ad campaign is active. Since Google owns YouTube and their display network is an aggregate of Google organic search results, Adwords Pay-Per-Click advertising and YouTube Pay-Per-View content. This is the biggest bonus you can possibly derive from participation, even at a modest level, in TrueView® advertising. Remember, YouTube is the SECOND LARGEST SEARCH ENGINE in the world, second only to Google Search…who happens to own YouTube. Embedding your video in this overall display network will get you a tremendous exposure over time. Your net cost of actual views that are billable is a fraction of any other form of digital advertising that is available. Engaging, optimized video content will be displayed on the video view page for YouTube visitors when your content is relevant to the topic, interest or subject of the video being viewed by the YouTube user. Over time, as your video is viewed over and over again, along with comments and likes, your content gains strength and ultimately will appear not only on YouTube view pages but in the Google Display Network (Google Search) as well. Without video content, you will fall further behind your competition on the web who have video content. And you are missing out on a powerful segment of the Google Display Network. When you combine this organic growth with a modest TrueView® paid YouTube advertising campaign, you can enjoy pre-roll placement, in-page placement and ‘suggested videos’ placement as well. When managed correctly, your YouTube video advertising campaign will automatically place your video BEFORE the viewer-selected video begins to play. This is know as “pre-roll” placement. Before the viewer can skip the ad, they must watch 5 seconds of your video. They will then have the option to move on to the video they originally selected. 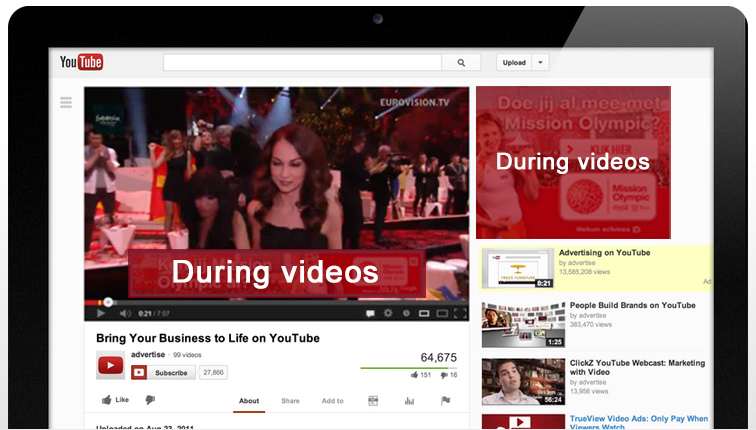 This placement is one of the strongest and most effective benefits of a TruView® YouTube advertising campaign. It is used to monetize video content, as well as gain a strong branding message in specific areas of interest for YouTube users. 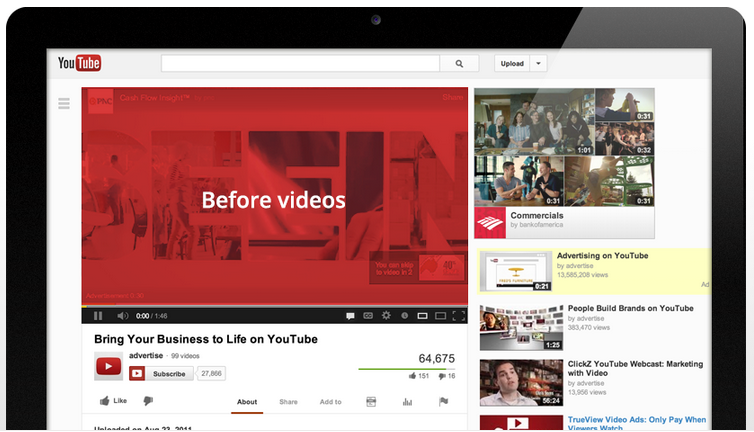 Everyone has seen this pre-roll placement in their travels on and around YouTube. The best news is that you don’t pay until someone watches your video for 30 or more seconds! The fourth and equally powerful feature of TrueView® advertising is the ‘in-slate’ placement of your video. Your video’s relevance to the originally chosen video by the user will determine this. Of course, paid advertising videos will always appear here and in a higher position than non-paid video ads. But non-paid videos also appear here based upon the same criteria. When you are running a paid campaign for one or more of your videos, more than one can appear. This can include paid and non-paid video content. This gives advertisers with multiple videos a distinct advantage when managing their video library. As a part of your managed campaigns and as a Quick Reach Media Agency client, your optimized videos are also enhanced with custom thumbnails to attract more viewers and create a dominant look on YouTube.